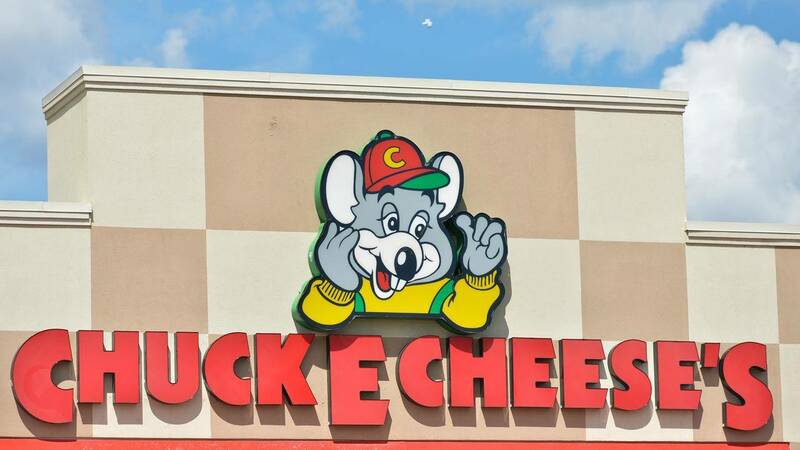 Chuck E. Cheese's is offering its own "Pay Your Age" deal, just one day after a similar promotion by Build-A-Bear descended into chaos across America. "Didn't get to Build A Bear? Come in on 7/13, pay your child's age, and they will get 30 minutes of All You Can Play," the restaurant chain posted on Facebook late Thursday. On Thursday, Build-A-Bear was forced to shut down its sale,the first of its kind by the hugely popular chain of teddy bear retailers, after long lines, pushing and shoving and line-jumping created bedlam in stores across the country. By the afternoon, with restless children and some impatient parents having waited since 6 a.m., the company announced it was forced to discontinue the sale in the interest of public safety. "Urgent Alert: Per local authorities, we cannot accept additional Guests at our locations due to crowd safety concerns," the company posted. "We have closed lines in our stores. We understand some Guests are disappointed and we will reach out directly as soon as possible." Frustrated customers took to social media to air their grievances, complaining that the company had ruined their children's day. Build-A-Bear said it issued vouchers good through Aug. 31 to customers who had waited in line. Meanwhile, Chuck-E-Cheese's offer attracted some surprise online. "Did y'all learn nothing from todays fiasco?!?!!" one person commented on the company's Facebook post. Others pointed out that the restaurant was tempting fate on Friday the 13th. "Till the cops come and shut it down just like build a bear. Not to mention it being Friday the 13th," one person wrote. "I'm not sure about Friday the 13th at Chuck E. Cheese lol," another added.